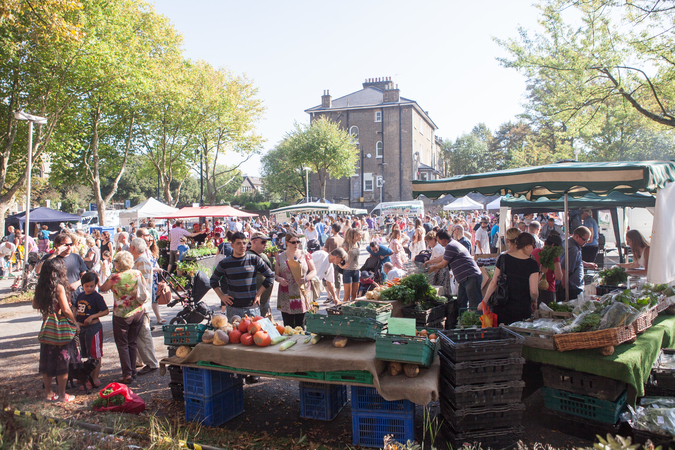 London's food market scene continues to grow with the launch of two new weekend markets specialising in local produce and street food. Plus the odd tinny. 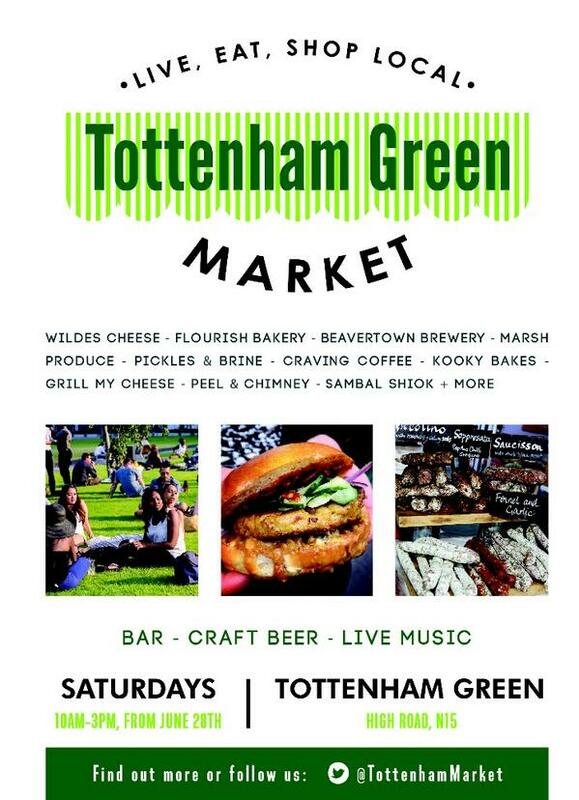 North East London gains a new foodie spot on Saturday with the launch of Tottenham Green Market, brought about by Harringay Market founder Jessica Vos and Street Feast organiser Adam Layton. Set to run initially for six weeks, it pulls together street food, produce, and what’s being billed as London’s first craft beer can bar. The latter will be run by Beavertown Brewery, who have recently relocated to the area after outgrowing their original De Beauvoir Town premises, and this graphic neatly explains why they’re opting for cans rather than bottles. Other street food offerings will include grilled cheese toasties from Grill My Cheese, steak sandwiches from Beef & Liberty, chicken satay buns from Sambal Shiok, plus Aji Ceviche, You Doughnut!, and Dalston’s White Rabbit. 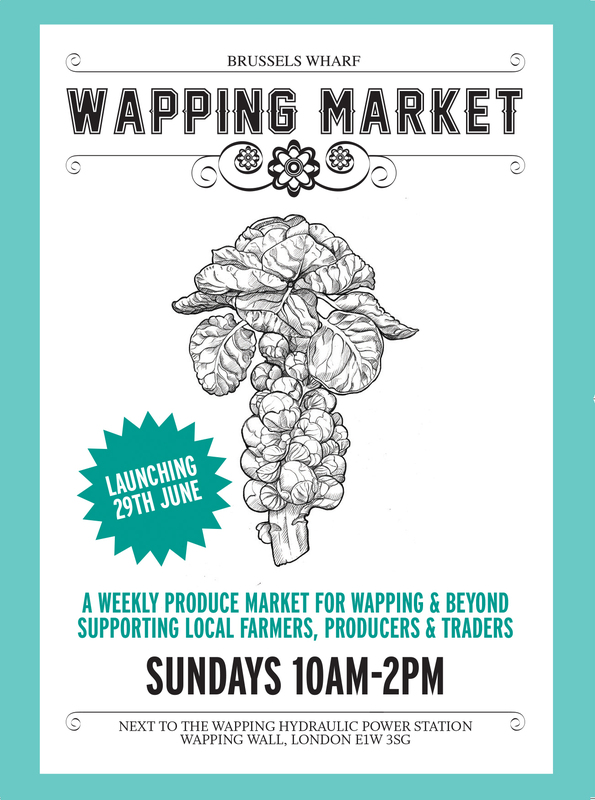 In the produce department, you’ll find smoked salmon from Camden Smokery, brownies and cupcakes from Kooky Bakes, breads from Tottenham’s Flourish Craft Bakery and cheeses from N17 micro-dairy Wildes, along with meat, veg and more. The grassy location should be perfect for summertime picnics, too. From the impressive stable of foodie mecca Brockley Market comes this new waterside outpost featuring more than 30 traders selling produce as well as food-to-go. Sustenance on offer includes vibrantly flavoured Asian wraps from Dosa Deli, fish finger sandwiches from Mark Hix’s Fishdogs, Austrian schnitzels and sausages from Fleisch Mob and burgers from Mother Flipper. 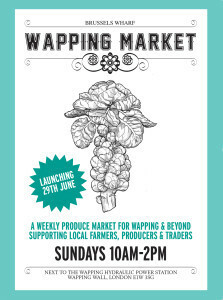 Among the wealth of produce, look out for raw (unpasteurised) milk from Hook & Sons, British meat from Bermondsey’s The Butchery, all manner of pickles from VadaszDeli, sustainably sourced fish from the excellently named Soleshare and smoked mackerel, salmon and more from Little Greenwich Smokery. 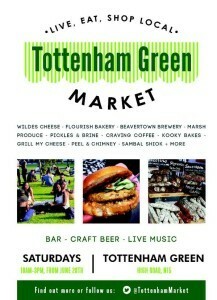 If you head down to either market (or both) at the weekend, do let us know what you think in the comments below. Also, don’t forget that #ModelMarket has just launched in Lewisham, running on Friday and Saturday evenings. See our preview here.